“I’m just not feeling like myself,” or “I feel like I can’t control my thoughts” – these are feelings shared by individuals who are likely suffering from anxiety. From mild to severe, the symptoms of anxiety interfere with daily life and everyday happiness. These symptoms can include sleep interference (difficulty falling/staying asleep), nausea, cold/sweaty hands, uneasiness, racing thoughts and shortness of breath (panic). If you have one or more of these symptoms, it’s important to determine what could be triggering your anxious reactions. While many triggers are mental/psychological, a lot are physical. Most individuals suffering from anxiety look for answers primarily in their mind (thought patterns, mental awareness, etc. ), and although that is a great place to start, a lot of peoples’ anxiety is triggered by physical stimuli. Food allergies, sugar, alcohol, caffeine and certain vitamin deficiencies can all lead to anxiety. Why? Things like sugar, alcohol and caffeine all effect your body’s energy levels, causing you to have a burst of energy (sugar and caffeine) or feel calm and more mellow (alcohol). Once your “buzz” diminishes, your body has to attempt to rebalance itself, causing you to likely crave another depressant or stimulant. If your body is never allowed to rebalance itself, you will begin noticing some mental symptoms, most notably a feeling of uneasiness, panic or worry. Sugar and alcohol also drastically effect your body’s blood sugar levels, which can lead to increased feelings of dizziness, sweaty hands, lightheadedness and hunger. If your blood sugar is unstable, you might also begin feeling panicked or anxious. Adopting an overall healthier lifestyle and monitoring your intake of sugar, alcohol and caffeine can drastically change your anxious feelings and thoughts. 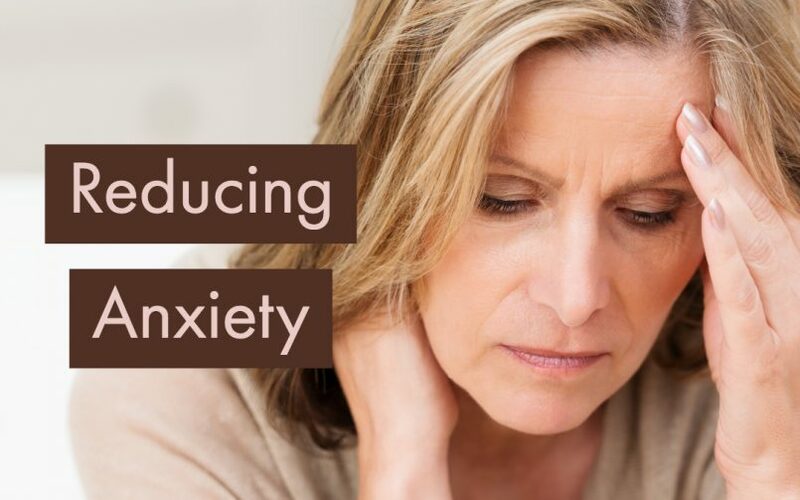 Chiropractic care is also proven to help anxiety by treating the nervous system and improving the body’s responses to stimuli (both external and internal). Also, I work with my patients by delivering consistent, high quality care in order to keep their bodies in balance and keep their diet and mental wellbeing on the right track. If you’re unsure of how to begin your health journey, need diet recommendations or are overall looking to improve your mental wellbeing and sense of self, reach out to me at 920-499-3333 to schedule a free consultation!